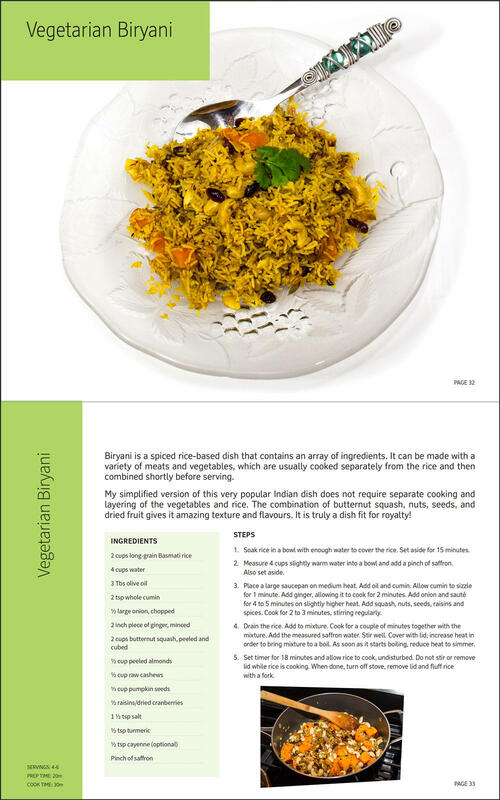 GLOBAL VEGETARIAN KITCHEN 80 RECIPES EBOOK! I wholeheartedly believe that food is not just for our bodies. It is an inspiring art form that nourishes our bodies and stimulates our physical senses as well as our emotions. The recipes in this book do exactly that! This cookbook is an expression of my passion for creating unique dishes and cooking with many different types of ingredients, including spices & herbs. I wholeheartedly believe that food is not just for our bodies. It is an inspiring art form that nourishes our bodies and stimulates our physical senses as well as our emotions. The recipes in this book do exactly that! They are healthy and nourishing; they are tantalizing to your tastebuds, nose and eyes; and they make you feel good instead of regretting the meal you just ate. Over 170 pages with 80 recipes, each with a full page colour photo. 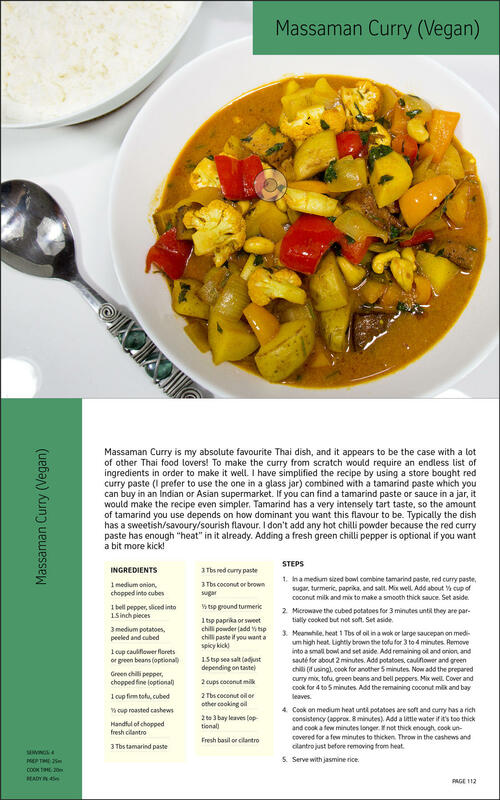 Vegan Massaman Curry is my absolute favourite Thai dish! I have simplified the recipe by using a store bought red curry paste (I prefer to use the one in a glass jar) combined with a tamarind paste which you can buy in an Indian or Asian supermarket. If you can find a tamarind paste or sauce in a jar, it would make the recipe even simpler. 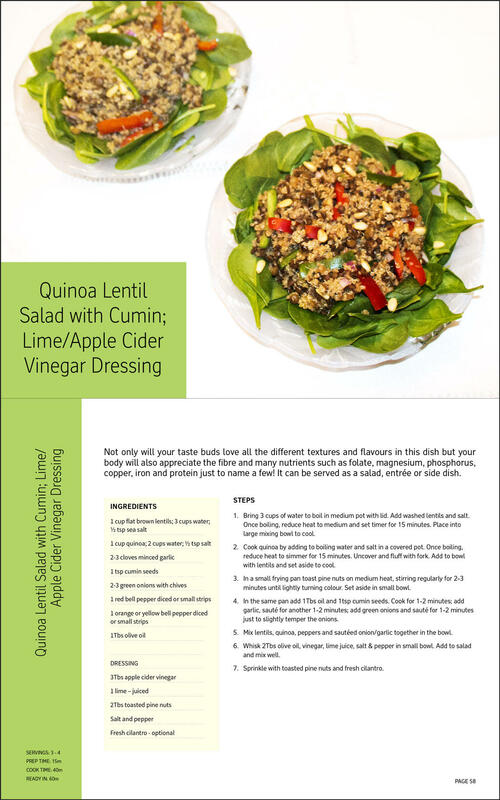 Quinoa Lentil Salad with Cumin; Lime/Apple Cider Vinegar Dressing Not only will your taste buds love all the different textures and flavours in this dish but your body will also appreciate the fibre and many nutrients such as folate, magnesium, phosphorus, copper, iron and protein just to name a few! It can be served as a salad, entrée or side dish. 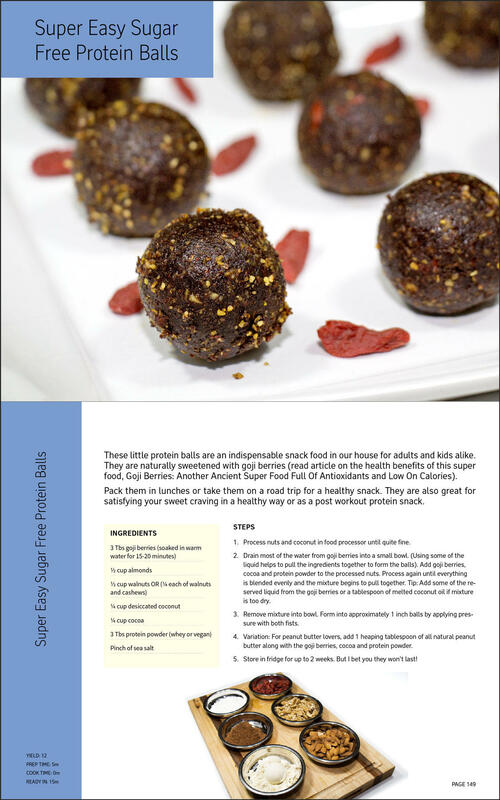 Super Easy Sugar Free Protein Balls These little protein balls are an indispensable snack food in our house for adults and kids alike. They are naturally sweetened with goji berries (read article on the health benefits of this super food, Goji Berries: Another Ancient Super Food Full Of Antioxidants and Low On Calories). Holiday Biscotti Holiday baking is incomplete without biscotti! 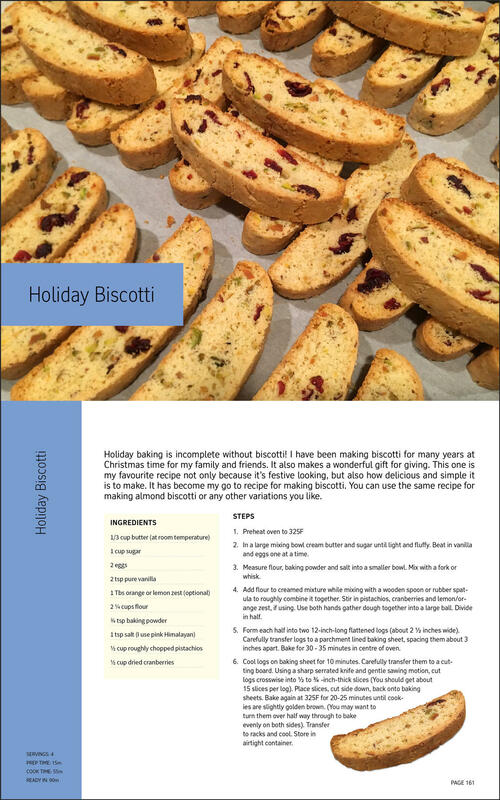 I have been making biscotti for many years at Christmas time for my family and friends. It also makes a wonderful gift for giving. This one is my favourite recipe not only because it’s festive looking, but also how delicious and simple it is to make. You can use the same recipe for making almond biscotti or any other variations you like. 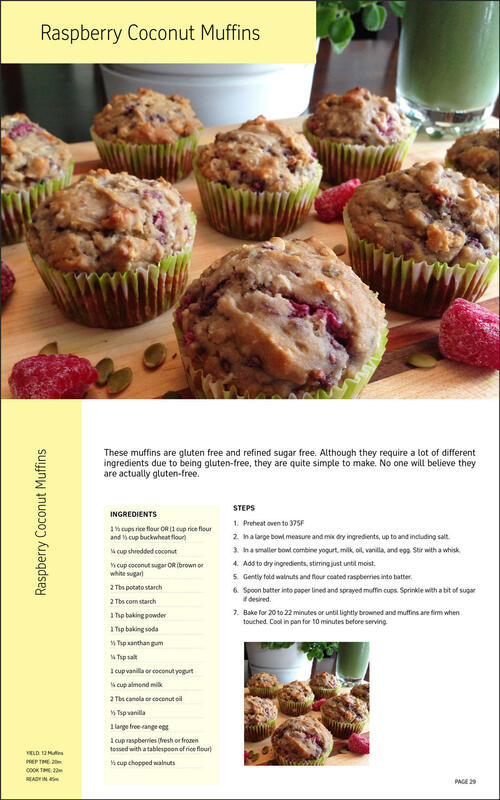 Raspberry Coconut Muffins These muffins are gluten free and refined sugar free. Although they require a lot of different ingredients due to being gluten-free, they are quite simple to make. No one will believe they are actually gluten-free. 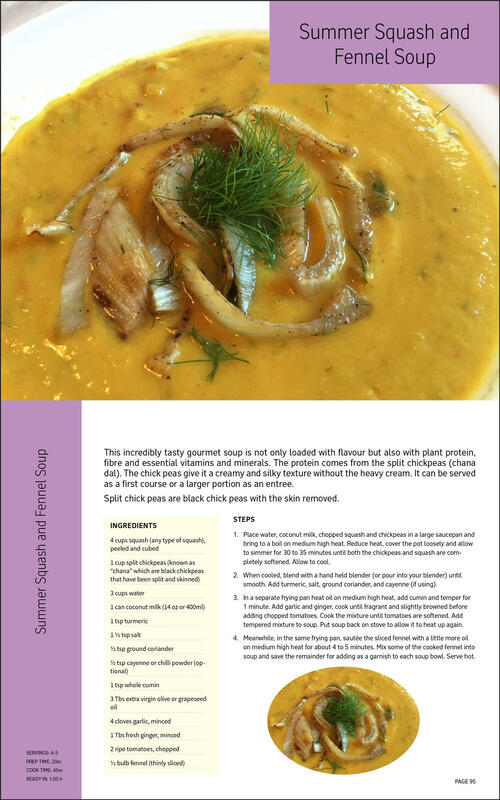 Summer Squash and Fennel Soup This incredibly tasty gourmet soup is not only loaded with flavour but also with plant protein, fibre and essential vitamins and minerals. The protein comes from the split chickpeas (chana dal). The chick peas give it a creamy and silky texture without the heavy cream. It can be served as a first course or a larger portion as an entree. 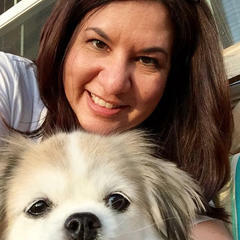 USE PARKASH'S EASY TO FOLLOW RECIPES WITH GREAT PHOTOS. "Parkash is extremely knowledgeable in the healthy and nutritional aspects of Indian cooking without compromising the taste. 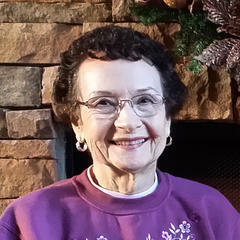 I have wooed my husband with these recipes and he does not miss the meat anymore." 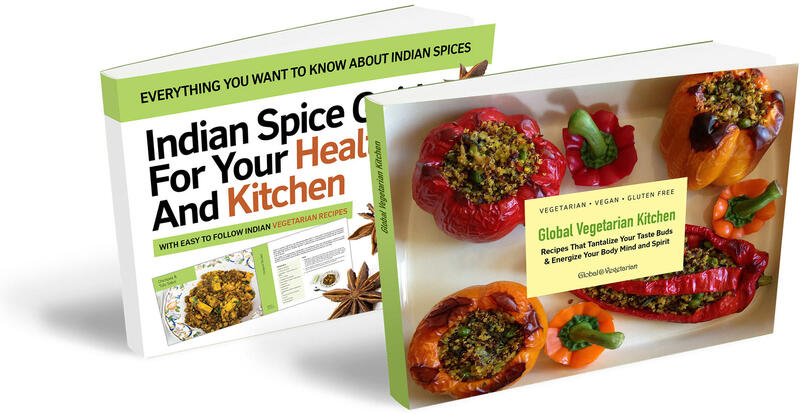 ""Global Vegetarian Kitchen" is a go-to reference for the Ayurvedic enthusiast as well as cooks and chefs interested in learning more about each of the major spices of Indian Cooking. 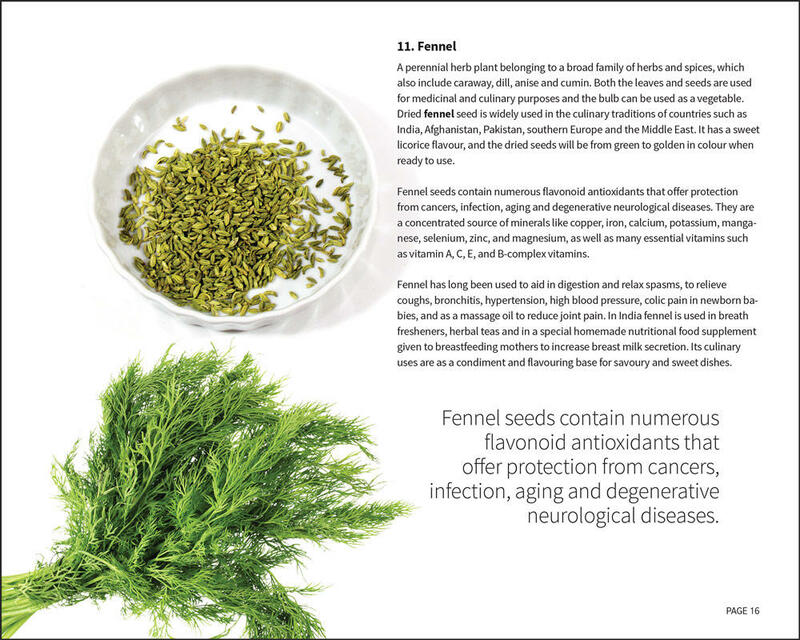 >>> The guide includes gorgeous photos of each spice, personal and medicinal uses, origins, and properties. The graphics and images draw you in and invite you back to it as a valuable reference. 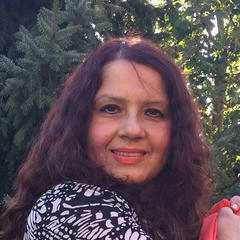 Parkash has a beautiful, approachable way of teaching about a sometimes intimidating topic. Her warmth comes through each page and is the essence of her work. >>> I highly recommend 17 Indian Spices A to Z for anyone interested in learning more about the intoxicating aromas and flavors of Indian spices!" "Thank you Global Vegetarian! You have inspired me to open more doors in my life and I’m sure many others will appreciate the same. >>> The pictures are so good I’d swear I could reach into my screen and take a sprig of fennel from it! For once I finally know what these ingredients are and actually look like. I’ve seen them hundreds of times in passing while shopping at the grocery store, but the names never clicked for me. Now, thanks to "Everything You Want to Know About Indian Spices," they’re vividly etched into my memory. >>> And now that I also know green cardamom is known to help retard cancer growth, I’m suddenly motivated to open the doors to the cupboards and dig out all of these spices. But I’m feeling a little stiff and sore from working late last night; I think I’ll pick up some ajwain (carom seeds) to put in my tea for their anesthetic effect!" "VERY well done book. GREAT photos, and the text is well written. I was glad to learn about some spices I had heard of, but didn’t know how they were used. Thank you!" 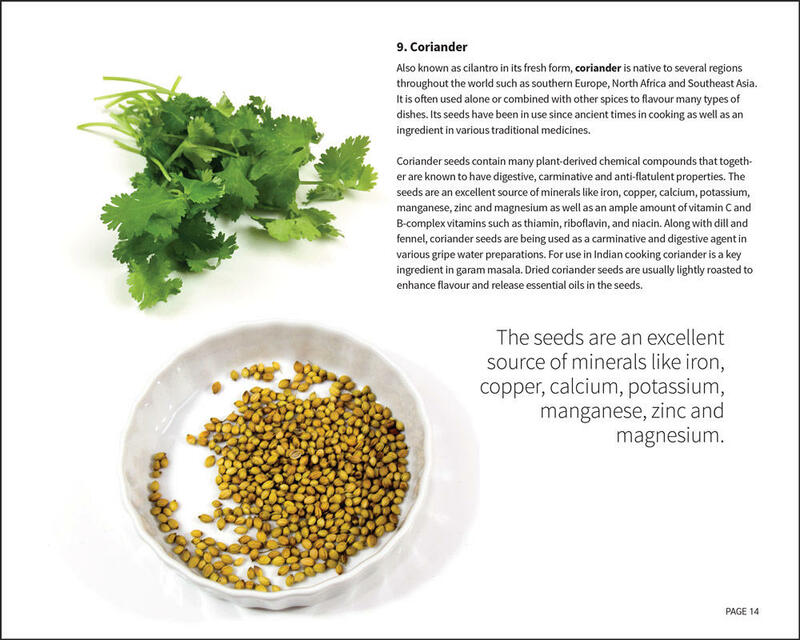 EBOOK # 2: Indian Spice Guide For Your Health And Kitchen. Learn about the benefits of Indian Spices in your cooking! As a connoisseur of Indian Spices you will be healthier and happier! For the novice, one of the key deterrents to Indian cooking is the unfamiliarity with countless spices and how to use them. I aim to de-mystify these perceptions by sharing some simple and practical basics about Indian spices, their uses and health benefits. 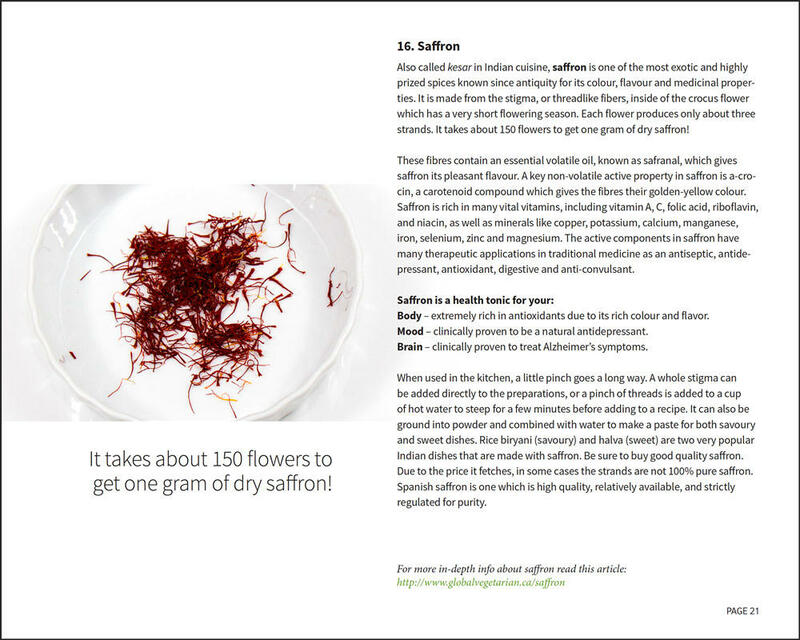 Here is a little secret: Although in my book I write about 17 spices, to learn Indian cooking you do not need to run out and purchase all of them before getting started on your culinary adventure. There are countless Indian dishes that can be made using 4 basic spices; cayenne or chili powder, ground turmeric, garam masala, and whole cumin. 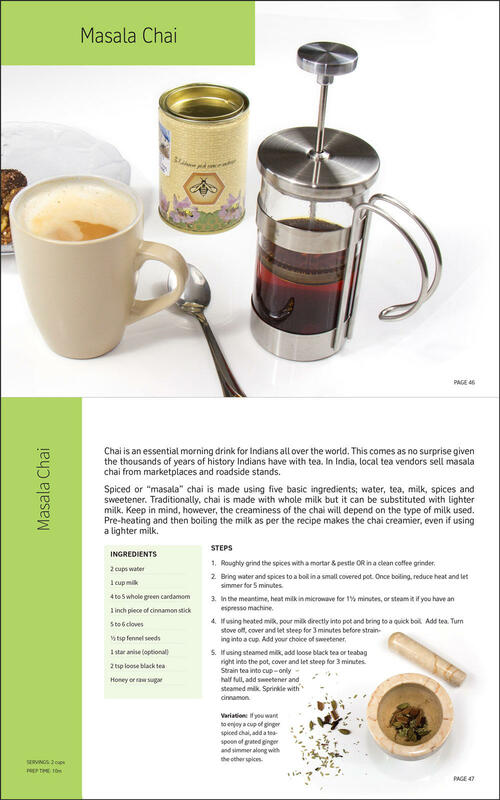 This ebook also has 12 recipes to showcase the use of Indian spices. © 2019 Global Vegetarian | All Rights Reserved. Not Interested In Buying Both Ebooks? 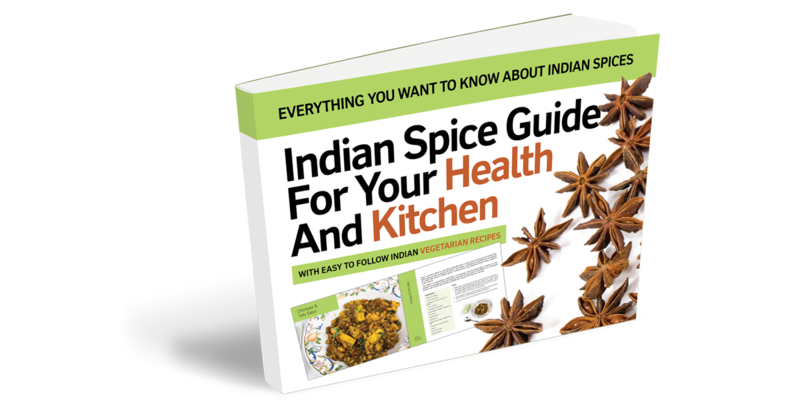 You can get the Indian Spices Guide For Your Health And Kitchen For FREE! As a connoisseur of Indian Spices you will be healthier and happier! For the novice, one of the key deterrents to Indian cooking is the unfamiliarity with countless spices and how to use them. I will de-mystify this perception by sharing some very important truths about Indian spices. 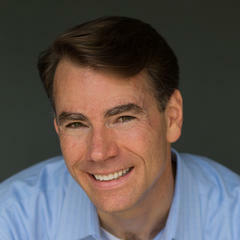 YES, I Want Indian Spice Guide For Your Health And Kitchen Now! Everything You Want to Know About Indian Spices! 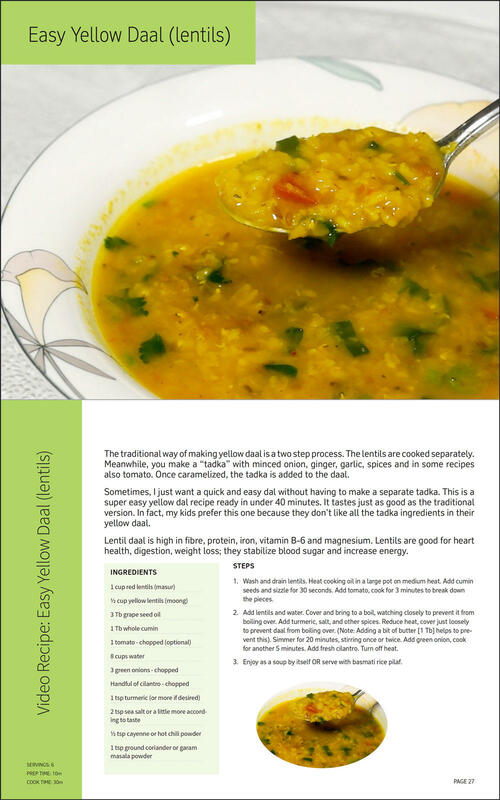 PLUS Easy To Follow Indian Vegetarian Recipes With Photos! We value your privacy. Your contact information will not be shared. | You can unsubscribe anytime.